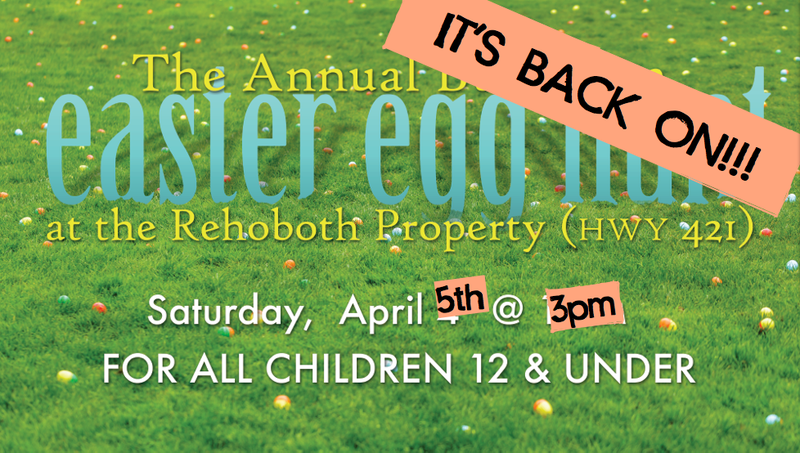 We’ve, ahem, resurrected our Annual Easter Egg Hunt to be held tomorrow, April 4th, at 3pm at Rehoboth. Eggs are being hidden. Preparations are being made. All we need are little hands to come and scoop up the treasure. So, bring your little treasures tomorrow for all the Egg-huntin’ fun they can possibly stand. We can’t wait to see you there.